Supple and open in texture, this wine offers a mouthful of ripe plum and cherry flavors that mingle with floral and spicy notes. 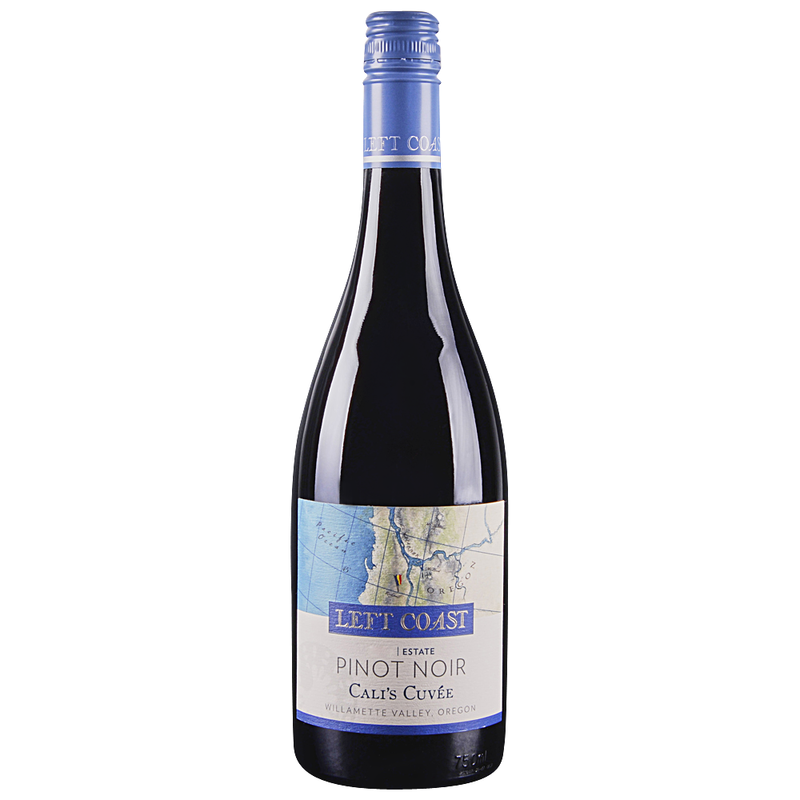 Named after the family’s left-handed daughter, Cali, this Cuvée (blend) is 100% Dijon, Pommard and Wädenswil clone Pinot Noir. Cali’s Pinot Noir is a versatile and food-friendly wine, pairing beautifully with anything from the grill. Delicious now, this wine would reward cellar time. Left Coast Cellars estate – situated on the 45th parallel – consists of 356 acres. Planting on varying soils, elevations and slopes contribute to the complexities and subtleties of our wines. It is this precise combination of geography and geology that gives our wines a distinct sense of place. The 2016 Pinot Noir Cali's Cuvee is pale to medium ruby-purple in color with a very pretty nose of dried leaves, dusty earth and wood smoke over fresh, ripe red and black cherries and berries aromas with notes of cranberry sauce and bright pomegranate—a nice interplay of fruit and earth here. The palate is light to medium-bodied with juicy red and black fruits plus nuances of earth and spice, framed by softly grainy tannins and juicy acidity, finishing long and on a smoky note. 8,982 cases produced.